Cytokines are small secreted proteins released by cells have a specific effect on the interactions and communications between cells. The word cytokine is derived from the Greek kytos meaning ‘hollow’ or ‘vessel’ and kinein meaning ‘to move’ and was originally used to separate a group of immuno-regulatory proteins, such as interleukins, from other chemicals, known as growth factors, that modulated the proliferation and bioactivation of nonimmune cells. 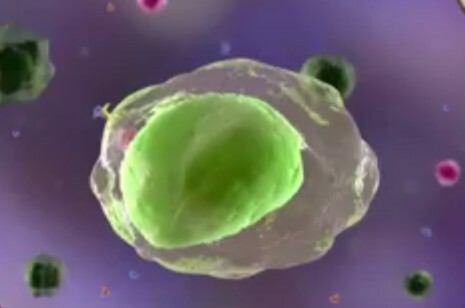 Cytokines aid cell to cell communication in immune responses and stimulate the movement of cells towards sites of inflammation, infection and trauma. Most cytokines names are given based on cell types, biological activity and the structure. The term ‘cytokine’ was first introduced in the mid-1970s. It was applied to polypeptide growth factors controlling the differentiation and regulation of cells of the immune system. The interferons (IFNs) and interleukins (ILs) represented the major polypeptide families classified as cytokines at that time. Interferons (IFNs) – Interferons (IFNs) are a group of signaling proteins made and released by host cells in response to the presence of several pathogens, such as viruses, bacteria, parasites, and also tumor cells. Interleukins (ILs) – Interleukins are a group of cytokines that were first seen to be expressed by leukocytes and acting on other leukocytes. Monokines – Cytokines such as tumor necrosis factor-α (TNF-α) produced by monocytes. Colony stimulating factors (CSFs) – Cytokines promoted the growth in vitro of various leukocytes in clumps or colonies. Cytokines have important roles in chemically induced tissue damage repair, in cancer development and progression, in the control of cell replication and apoptosis, and in the modulation of immune reactions such as sensitization. Each cytokine has a matching cell-surface receptor. Subsequent cascades of intracellular signaling then alter cell functions. Cytokines are often involved in several developmental processes during embryogenesis. Cytokines are crucial for fighting off infections and in other immune responses. Cytokines constitute the single most important group of biopharmaceutical substances. As coordinators of the immune and inflammatory response, manipulation of cytokine activity can have a major influence on the body’s response to a variety of medical conditions.